You may already know that Mal is not only a blog bestie of mine, but a real life one too. About once or twice a year I'm lucky enough to get to see the smile in person. We make the long distance friendship work, but the fact that her parents live right by me helps juuuuust a bit! 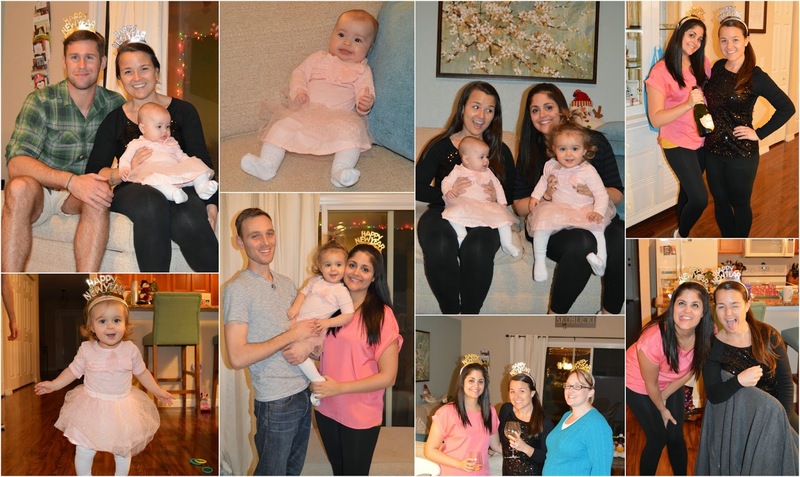 For the second year in a row, we were able to celebrate New Year's Eve together and this time I was able to meet Little Miss CKW. This adorable little sweetie is just as cute in person. I can't wait for her to be old enough to play with Ella! Here's a little glimpse at our low-key NYE fiesta. My friend Liz and her husband came over to have some laughs with us as well, it was a good time as you can probably tell!